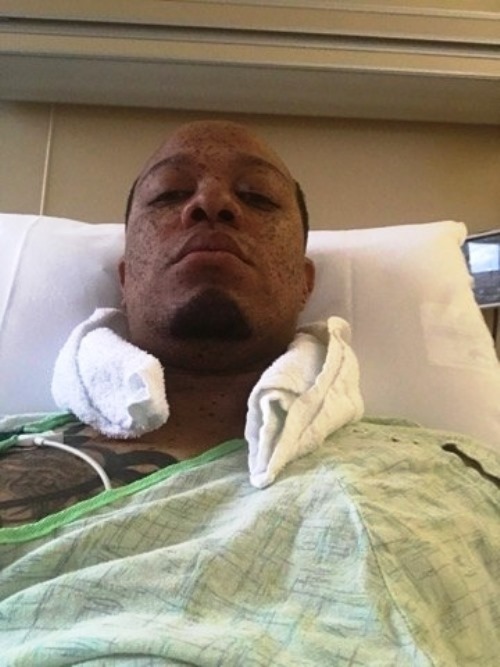 Wiley Day, a 32-year-old man from Huntsville, Alabama experienced the worst wake-up call of his life. The reason: his iPhone 7 pumped out about 110 volts of electricity through his body while he was enjoying his nightcap. Day has a night habit of plugging his iPhone 7 into an extension cord beside him in bed so he could still check his social media accounts before falling asleep. However, things went wrong when on one fateful night his dog tag necklace came in contact with the exposed prongs of his charger and the extension cord. His metal necklace served as the conductor and the most shocking “alarm clock” he ever had in his life. What happened next is something Day will remember why he is lucky to be alive now. The resulting electric charge of that contact flooded his body and threw him out of bed. At that moment, Day only one thing in mind. “This is how you die,” he told himself. He immediately felt the numbness on his body and an intense pressure down his neck. Day realized he had been electrocuted. 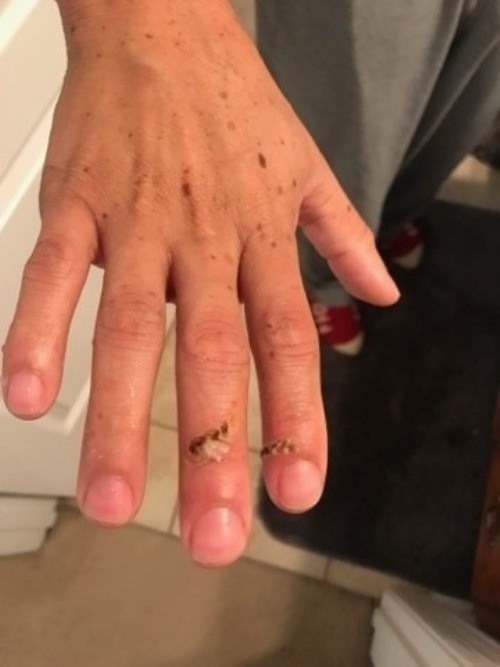 “I could taste burnt wire in my mouth,” he said. Amidst the sensory overload, Day was able to shout for help that wakes up the rest of his family members. He was also able to pull the scorching necklace from his neck. 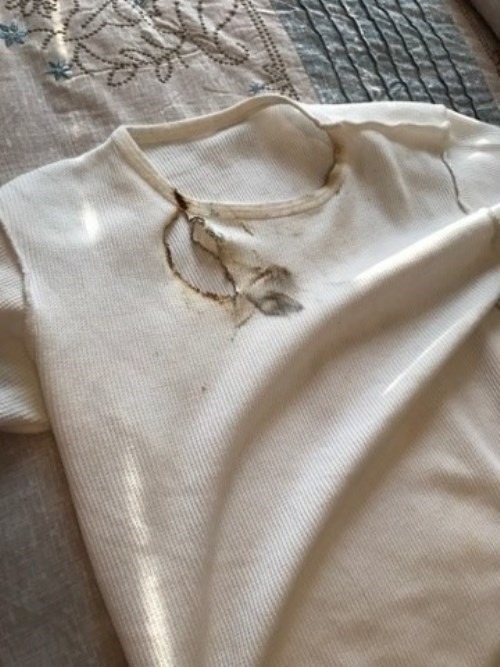 Day’s t-shirt nearly caught on fire. Day also had other painful injuries to prove his dreadful ordeal. 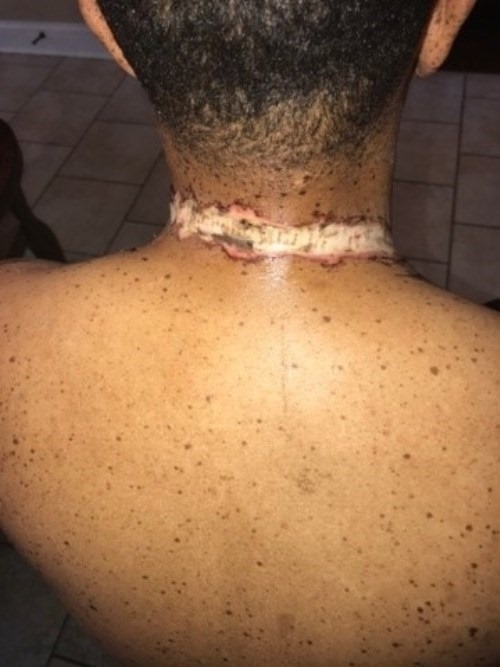 His neck has burn marks where his dog tag chain used to be around. 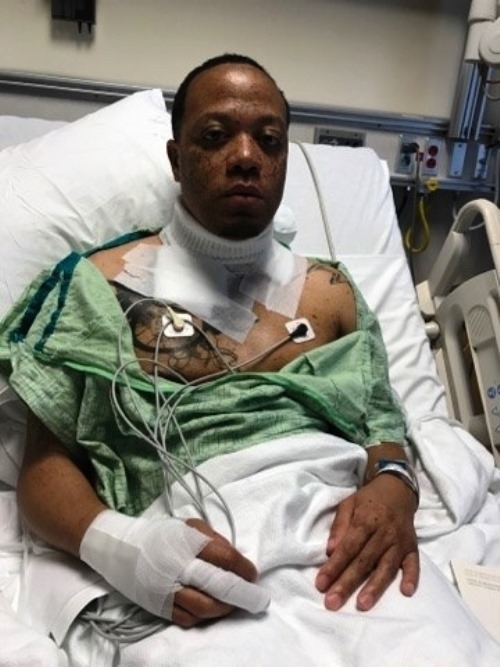 Despite the painful night he has been through, Day drove himself to a doctor who later referred him to be transferred to the University of Alabama’s Trauma Burn Intensive Care Unit. 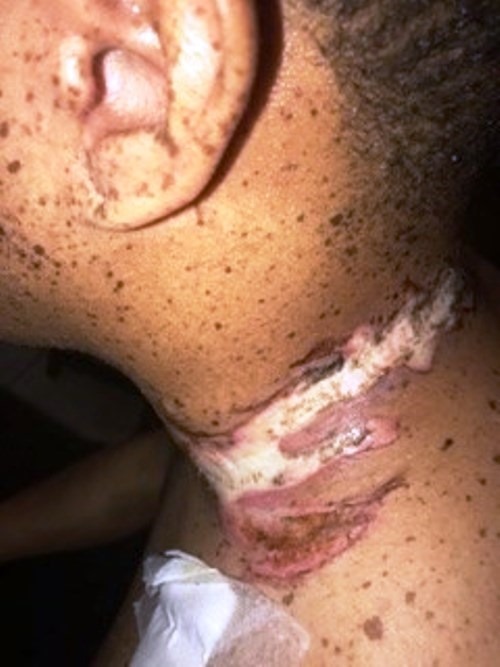 In there, he received treatment for second and third-degree burns to his neck, chest, and hand. He was also treated for torn tissue in his left shoulder where the electric charge left his body. In an interview with WAAY-TV, Dr. Benjamin Fail, who attended to Day, said 100 volts of electricity is enough to kill a person. He estimated that Day suffered a 110-volt electric shock. “He is lucky to be alive,” the doctor said. Apple didn’t comment on Day’s electrocution incident. However, the company’s support page highly “recommends using only accessories that Apple has certified.” Apparently, Day used a cheap extension cord from a local store to charge his phone. He never had a second thought about buying it since many are using the same accessory to charge their devices. Day has learned his lesson from this tragic incident. He also warns others about the danger of leaving phones charging overnight. 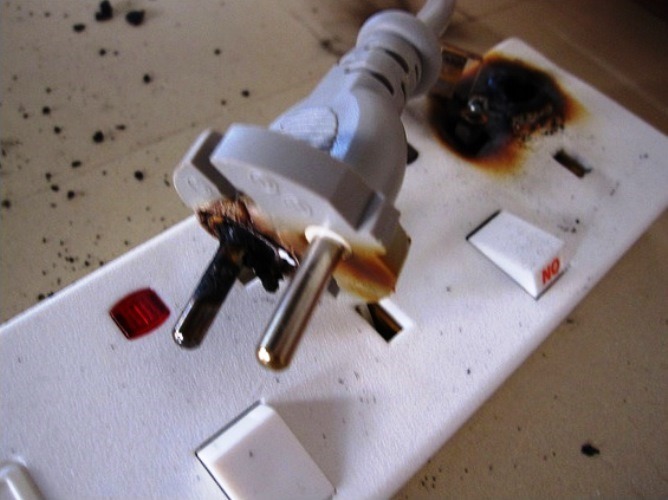 Meanwhile, according to the American Burn Association, cheap and uncertified extension cords have already resulted in 4,700 fires in the U.S. annually. It also caused 50 fatalities and 280 injuries each year.